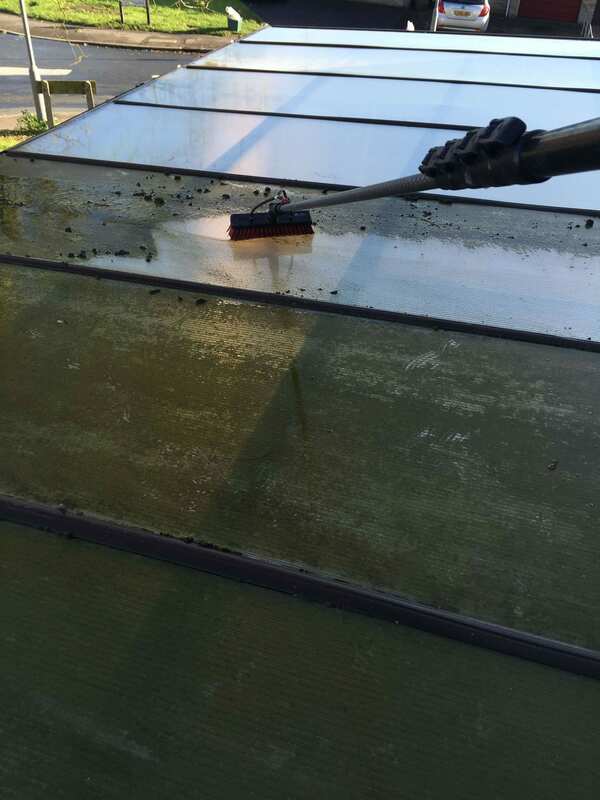 Our ladder-less pure water cleaning system offers a completely safe, low cost, window cleaning solution, guaranteed to give you sparkling, smear free windows that stay cleaner for longer, for all commercial and residential properties. 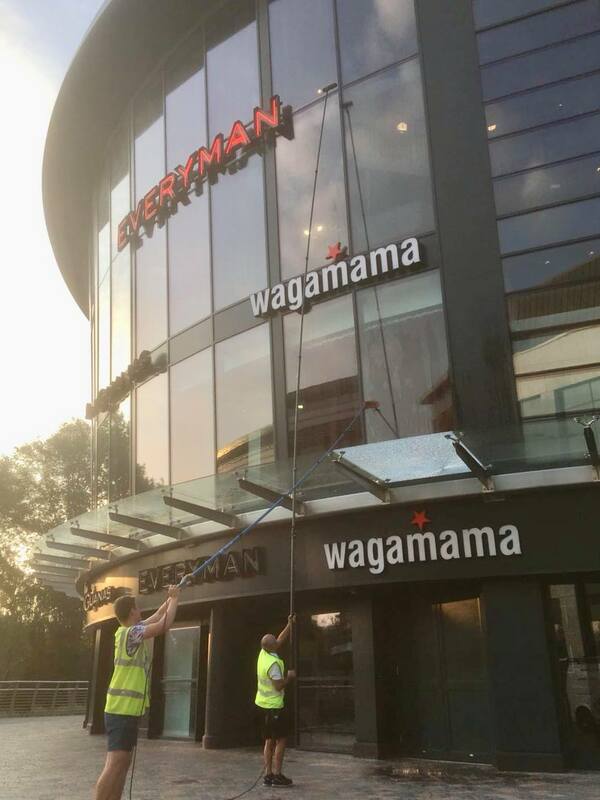 Our water fed pole window cleaning system makes high access commercial window cleaning of up to 65ft completely safe, eliminating all the risks previously associated with other methods of commercial window cleaning. 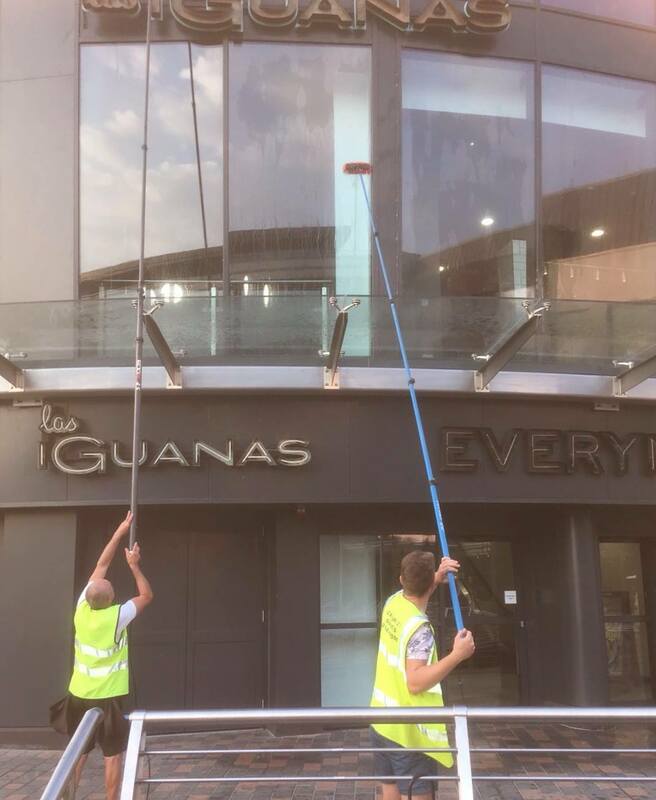 With a management team encompassing over 30 years experience in the window cleaning industry you can be assured of high levels of service and professionalism. We understand the importance of working to strict health and safety policies and to date we hold an impeccable health and safety record. We are fully insured and all our window cleaners are fully trained and compliant with the very latest health and safety regulations. Traditional window cleaning services are also available on request. If you are looking for more information please contact us, using the quote form or call now on 01245 392 593.